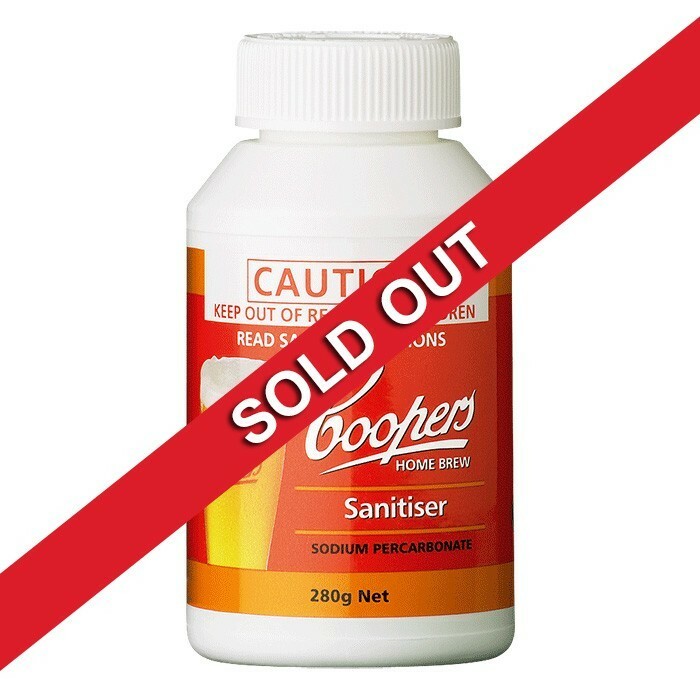 Coopers Sanitizer contains Sodium Percarbonate, an environmentally friendly cleaner/sanitizer for home beermaking equipment. As effective as chlorine bleach, without the problematic residue of bleach. Sodium Percarbonate devolves into water, oxygen and natural soda ash.